Caption - South African Railways (SAR) S1 class 0-8-0 3810 at Kaserne in August 1972. Designed for heavy shunting, this class of 37 locos were able to handle the heavy post-war loads. 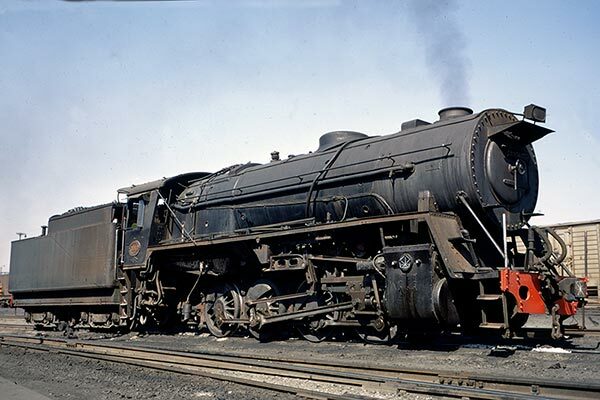 The first 12 locos were built in 1947 at Salt River using some imported parts so became the first South African built locos manufactured in quantity. A further 25 were built by North British in Glasgow during 1953. The class continued in service until near the end of steam and sadly were often ignored by enthusiasts.